Some member's picture displays as a white square instead of real picture. 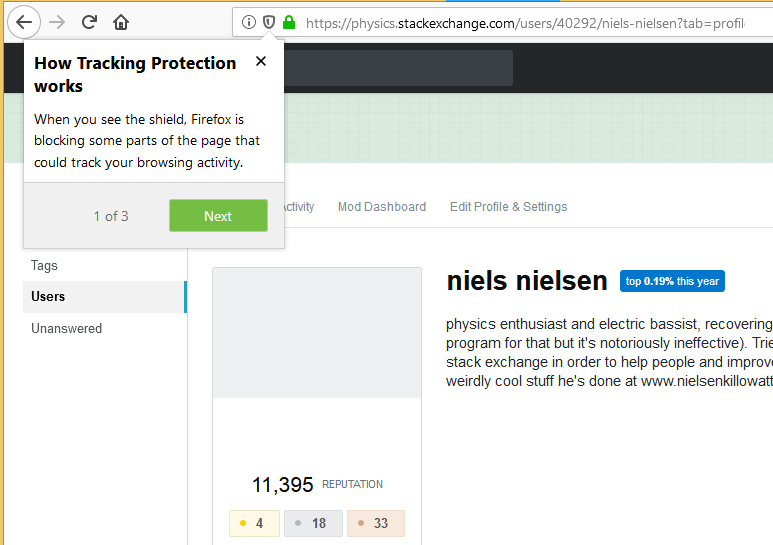 For example there https://physics.stackexchange.com/users, the user niels nelsen shows as a white square, but not on Windows. When I click on his profile, something even stranger happens, the top half of his picture is grey, the bottom half is white. The exact same bug happens for some members only. 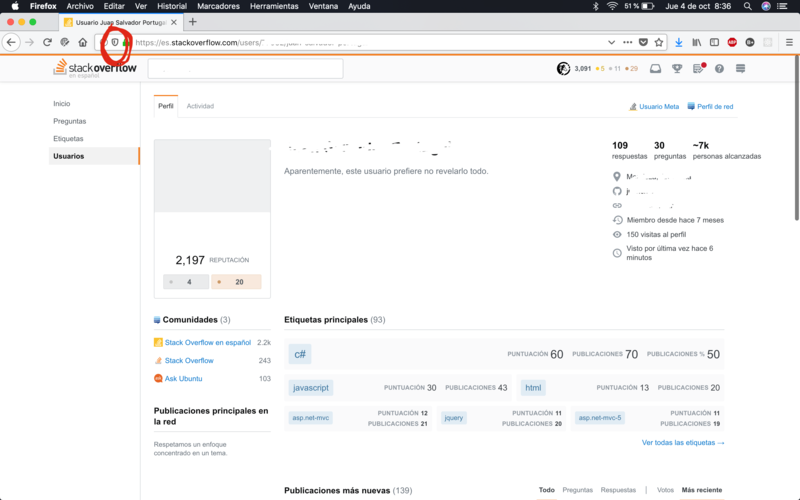 Let me provide a few of them: https://physics.stackexchange.com/users/40292/niels-nielsen, https://physics.stackexchange.com/users/132371/%c3%81rp%c3%a1d-szendrei, https://physics.stackexchange.com/users/68181/time4tea, and https://physics.stackexchange.com/users/176409/snoob-dogg. Edit: Apparently some people believe(d) the ISP was blocking "graph.facebook.com", or something like that. A ping test as well as connections using a browser to graph.facebook.com, fbcdn.net and this link seem to point out that the domain is in fact not blocked. Thus, to me, the mystery is still not elucidated. Adding a picture of the whole thing. 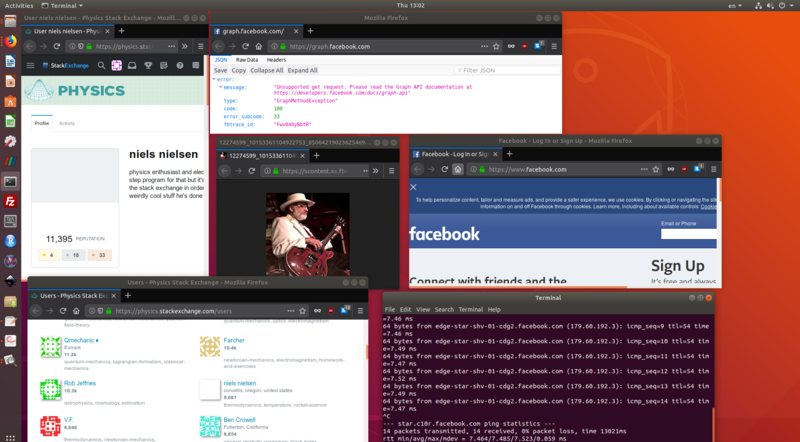 It's because of Firefox Tracking Protection, as far as I know it will happen on all OS, it happens for me on macOS too. Not the answer you're looking for? Browse other questions tagged bug status-bydesign profile-picture . Is there a method to what pattern is displayed when no profile picture is set?